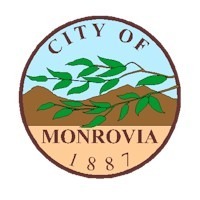 If you are a Monrovia resident, please complete the following short survey to provide us with your input. When you are finished with the survey, please click the “Done” button at the bottom of the page to send your responses to the Community Development Department. All responses are kept completely confidential. The City is in the process of updating the Housing Element of the General Plan for the 2014-2021 period as required by State law. The Housing Element establishes policies and programs to address Monrovia’s existing and projected housing needs for all economic segments of the community. The first step in this process is to ask you as a Monrovia resident, what you see as the community’s most important housing needs. * 1. How long have you lived in Monrovia? * 3. Do you currently rent or own your home in Monrovia? * 4. How would you rate the physical condition of the unit you live in? * 5. What types of housing are most needed to address Monrovia’s housing needs? * 6. For single-family homeowners: If you could, would you potentially be interested in having a small secondary housing unit on your property, either attached or detached from your home? * 9. Are there any additional comments regarding housing needs and preferences you would like to provide the City for its 2014-2021 Housing Element update? We appreciate your feedback. Please feel free to contact Craig Jimenez, Planning Division Manager at cjimenez@ci.monrovia.ca.us or (626) 932-5537 with any questions or comments.